Just arrived - gorgeous new wooden necklaces from Aarikka are now available to buy online including the chic Mustikka necklace (pictured). There are also some fantastic new tonttus available to buy online for all you tonttu collectors and fans of wooden Christmas decorations. 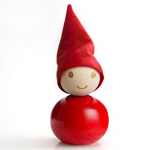 Arctic Fashion now has even more delightful Santa's elf table ornaments, eco-friendly wooden Christmas decorations and decorative items for the home. 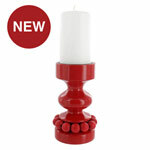 The new collection includes the bright and stylish 'Prince' candle holder (pictured), plus many new tonttu characters, wooden Christmas tree table ornaments and delightful Christmas tree decorations. 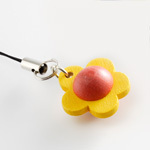 Just in - new chic wooden jewellery by Aarikka now available to buy from Arctic Fashion. Including a chic blue bracelet (pictured) as well as bold pink jewellery, feminine butterfly earrings and jewelery in hard-to-find colours, you are bound to find something for yourself or a present for a female friend or relative in the collection. Arctic Fashion has launched a new website dedicated to promoting its range of durable snow shovels and hand operated snow plows. Arctic Snow Shovels (trading name of Arctic Fashion) provides customer testimonials as well as product information and details of where to buy..
Just in! Fabulous new jewellery for summer 2011, including a mixed green necklace with matching bracelet (pictured), chic red and brown bracelets and blue stud earrings. Arctic Fashion also have a new hanging mobile with stylish heart design - ideal as a gift for the ones you love. Check out the new arrivals here. While many courier companies were struggling to cope with the snow and a backlog of deliveries, Arctic Fashion took matters into its own hands to ensure customer satisfaction - by driving 83 miles to deliver a snow plough to Somerset. "What great service! Rest assured I'll pass on your details to anyone I chat to who I feel could do with one of this type of snow clearer." Snow plough customer, Somerset. We have a winner! Arctic Fashion announces the first winner of its Facebook competition. The lucky winner will receive a cute and festive Pikku Pyry snowman Christmas decoration. 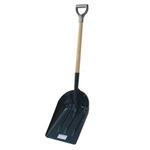 Arctic Fashion launches the new range of snow shovels and snow ploughs from Finland. 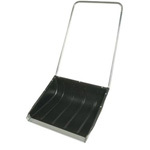 Make sure you are prepared for snow and the cold winter ahead with these light weight and hard wearing snow shovels and ploughs - buy yours online now. Arctic Fashion launches a competition for people who like the company's Facebook page. To enter, all you need to do is like the Arctic Fashion Facebook page. 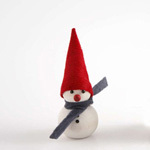 The first winner will receive a delightful Pikku Pyry snowman Christmas decoration. 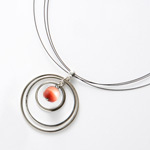 The latest stunning necklaces by Aarikka are now in stock and available to buy online from Arctic Fashion. From the bold black Tuuli necklace to the chic and vibrant mixed red Rentukka necklace (pictured left), these necklaces are bound to get you noticed at the office Christmas party. Bright, cheery and fun! Arctic Fashion now have even more towel clips for you to choose from. These towel clips are so simple to use - just clip and hang - and come in a variety of designs for adults and children alike. Win a red necklace competition: second and final winner! 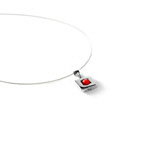 Congratulations Mrs June Bayley, the second winner of Arctic Fashion's Win a red necklace competition. 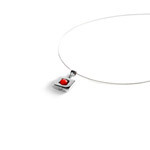 June successfully named two other items of red jewellery in the Arctic Fashion collection and her name was selected in our random draw so she will be receiving a red Foxi necklace soon. Thank you to everyone who entered. Arctic Fashion will be running more competitions soon. Win a red necklace competition: We have our first winners! Congratulations Tiff and Kendal Frankland! Tiff was the lucky winner of the first Win a red necklace competition draw and as she named her mum on her entry form, they both win a red Foxi necklace! It's not over yet though. Keep those entries coming in for the second and final draw on 18th August 2010. The closing date for entries is 11:59PM on 17th August 2010. This summer, Arctic Fashion are offering loyal customers, newsletter subscribers, website visitors and avid compers the chance to win a chic red necklace for them and a friend! To be in with a chance of winning, all entrants have to do is answer a simple question, fill out a Win a red necklace entry form online and then recommend the competition to all their friends and family. If their friend or relative wins, they win too (provided they are named on the friend's entry form)! Father's day competition: We have a winner! 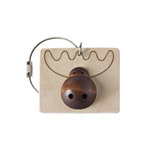 To celebrate Father's day, Arctic Fashion offered customers, newsletter subscribers, Facebook fans, keen compers and site visitors the chance to win this charming Hirvonen moose luggage tag for their dad (or themselves!). Thanks to everyone who entered and congratulations to our lucky winner - Mrs Jenny Price. Everything nautical is in fashion this spring/summer. Keep up to date with this hottest fashion trend with Arctic Fashion's new arrivals. Our nautical trend jewellery includes long or short blue wooden beads, red wooden bead chokers and matching wooden earrings for you to buy online and complete your favourite nautical outfits. 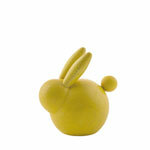 These sustainable wood Easter bunnies will not only brighten the home this Easter, but are eco-friendly and long lasting. So if you're looking for a more original, personal or long lasting gift for your loved ones or to treat yourself, why not buy one of these Easter gifts online now? If you still need convincing, see more reasons why a gift from Arctic Fashion beats a chocolate Easter egg. 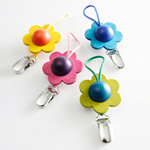 Mobile phone charms are the new USB stick accessory for everyone from IT professionals to students and kids. 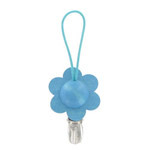 A simple solution that can help you break the cycle of endlessly searching for that elusive dongle, mobile phone charms are easy to attach to USB memory drives and make them easy to identify. Want to know more? Read this USB stick accessories article. Mother's Day is Sunday 14th March this year. To help those who struggle each year to find a suitable Mother's Day gift, we've put together a list of tips - see our how to find the perfect Mother's Day gift article. Alternatively, if you are searching for something special or different to flowers or chocolates, see our online shop for Mother's Day gifts. 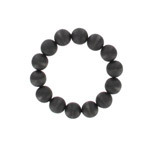 Arctic Fashion has some striking new Aarikka jewellery in stock. 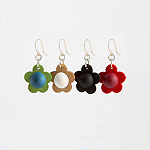 There are now even more colourful earrings and eye-catching, eco-friendly necklaces to choose from. 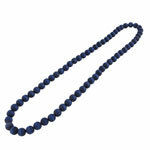 Click here to view our new Aarikka jewellery or here to buy online now. Red heart-shaped coasters by Pentik will soon be available to buy from Arctic Fashion. Introducing Jääkiekkoilijatonttu, the new sporty hockey player tonttu. 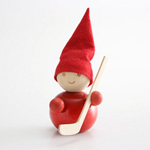 A must-have for collectors, this special tonttu also makes a great stocking filler for hockey players or sporty friends and relatives. Click here to view the winners of the Win a tonttu competition. Arctic Fashion is offering you the chance to win a tonttu this Christmas.It is simple to enter, all you need to do is answer a question and submit an entry form. The last prize draw is on 15th December 2009. Make sure your entry counts and enter now! Looking for something new? Check out our new arrivals - more fabulous wooden jewellery, bright towel clips and fun and festive Santa's elves from the Tonttu range are now available to buy online from Arctic Fashion. Go on, treat yourself or a loved one to something special this autumn/winter. 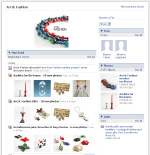 Arctic Fashion launches on Facebook! To all Arctic Fashion customers and fans of Aarikka, we are pleased to announce that we now have a Facebook page dedicated to Arctic Fashion. Become a fan now and you can post on the wall, share links and photos, and generally shout about how much you love Arctic Fashion and Aarikka jewellery and gifts!